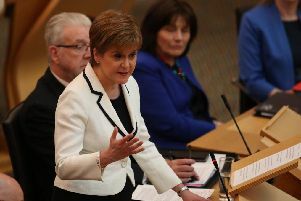 The SNP MP behind a revised plan to revoke Article 50 if a no-deal scenario seems inevitable has said she has been approached by “many” Labour MPs who want to back it. Joanna Cherry QC said she has been working closely with some Labour politicians to find a more “palatable” way of wording the proposal. Scottish Labour MP Paul Sweeney has suggested that he and others are “sympathetic” to the idea, which he described as a “sensible safeguard”. MPs are preparing to take control of the Commons timetable with a second series of “indicative” votes on Brexit, starting on Monday, in a bid to find a plan which can command a majority in the House. Ms Cherry has confirmed that she has tabled a fresh version of her motion that calls for Article 50 - the mechanism for leaving the European Union - to be revoked in certain circumstances. Under the reworked motion, if the UK gets to April 10, the date of a European Council summit, without a deal, an extension to Article 50 will be sought. If that extension is not granted, the UK Government would then be mandated to put a vote on no deal before the Commons. The reworked version also provides for a public inquiry to be set up within three months of revocation to look at Britain’s future relationship with the EU and whether a majority can get behind it. Ms Cherry said the proposal has been tabled for Monday, although it will be up to the Speaker to decide which motions are selected. Asked whether Labour as a whole could support the plan put forward by Ms Cherry, Mr Sweeney responded: “Well we’re sympathetic to it, but we’ll see what happens next week. On Labour’s way forward, he told the show: “It’s about building a coalition that is going to come together and actually establish a majority for a way forward in Parliament.